Dyskinesia is a type of movement disorder that is characterized by involuntary episodes of twisting or writhing of the body. The movements usually involve the arms or legs, but they can involve the torso, head, or face as well. The individual episodes may last from a few seconds up to 15 minutes or longer and generally resolve on their own. Over time, the episodes tend to increase in frequency and become more severe. Dyskinesias do not interfere with consciousness, and they are not in any way associated with seizures or convulsions, although they may initially appear somewhat similar to bystanders. If you experience dyskinesias, you can expect to remain fully alert and aware of the movements, and sometimes you might be able to tell that they are about to begin. Most of the time, people with dyskinesia have no control or very little control of the movements. There are several troublesome aspects of dyskinesia that affect daily life. They are usual in appearance and may draw unwanted attention from others. These unwelcome movements can be a distracting interruption for you even when you are alone. Dyskinesias can suddenly and unexpectedly occur, inhibiting your ability to control your body the way you want to. They can interfere with your activities and your purposeful movements. Occasionally, dyskinesias may be physically uncomfortable, and they can be painful, although that is not common. There are a few causes of dyskinesia; these include stroke, cerebral palsy, multiple sclerosis, and antipsychotic medications. The most common cause of dyskinesia is called levodopa-induced dyskinesia (LID.) LID describes dyskinesias that occur as a side effect of the medications used for the treatment of Parkinson’s disease symptoms. Parkinson’s disease is a movement disorder identified by resting tremors and muscle rigidity. Medications used for Parkinson’s disease are among the most recognized causes of dyskinesia. The medications that are used to control the symptoms of Parkinson’s disease are called dopaminergic medications. As these dopaminergic medications increase the amount of dopamine in the brain, they effectively reduce the symptoms of Parkinson’s disease. Dyskinesia does not typically occur as the result of only a few doses of dopaminergic medications or when using these medications for a short period of time. Because Parkinson’s disease is a lifelong condition, people who have the disease need to take dopaminergic medications for years. After several years of taking these medications, people with Parkinson’s disease may develop the fairly common delayed side effect of dyskinesia. There has been a great deal of investigation into whether it is possible to prevent the dyskinesias from developing and whether postponing dopaminergic medications can delay or reduce the development or severity of dyskinesia. But there has not been convincing evidence to show that delaying dopaminergic medication can prevent this side effect from eventually developing or make it less severe in the long run. Most people with Parkinson’s disease are given detailed explanations about the potential of developing the delayed side effect of dyskinesia well in advance. Overall, because the dopaminergic medications are so effective in reducing the hallmark symptoms of Parkinson’s disease, people with Parkinson’s disease consider the improved quality of life to be worth risking the side effect of dyskinesia down the road. In general, if you begin to experience dyskinesias after years of taking Parkinson’s medications, your doctors may manage this side effect by adjusting your medications. Adjustments may involve taking longer acting medications or strategizing your medication schedule throughout the day. Your doctors may add several different medications at low doses that work together instead of using a high dose, side effect-producing medication. 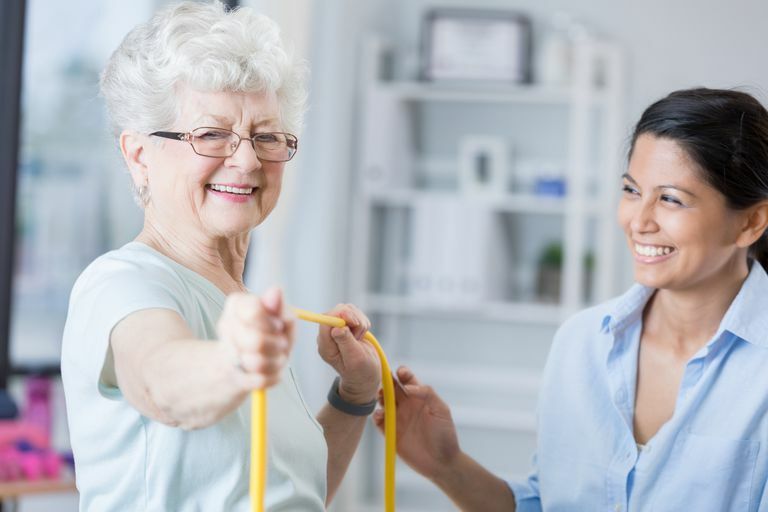 These tailored adjustments can balance out the need to reduce your Parkinson’s symptoms while also minimizing your dyskinesia. These approaches work for some people with LID, but they do not work for everybody. When medication adjustments are not enough to fine tune the balance between reducing symptoms and minimizing side effects, there are surgical methods that can reduce the dyskinesias that develop from taking dopaminergic medications. DBS is a surgical procedure used to control the dyskinesia that results from Parkinson’s disease treatment. This procedure involves placing an electrical stimulator in a region of the brain. There are a few areas that are considered optimal for DBS device placement, and some pre-surgical testing can help identify the ideal location in your specific situation. These areas include the globus pallidus internus and the subthalamic nucleus, both of which are relatively small regions located deep in the brain. DBS devices include electrodes, which are positioned in either one or both sides of the globus pallidus or the subthalamic nucleus. A generator, which is programmed to control the correct electrical stimulation, is implanted in the upper chest region. The device is equipped with a battery for continuous function, and this battery typically requires replacement every few years. The mechanism by which DBS helps reduce dyskinesia is fairly involved. The device induces brain stimulation, which can excite or suppress brain activity. Depending on the location of the electrodes, the electrical stimulation may reduce dyskinesia by direct action on the brain, or it may indirectly reduce dyskinesia by reducing the need for dopaminergic medication, which in turn, reduces the dopaminergic side effect of dyskinesia. Stimulators placed in the globus pallidus directly impact the dyskinesias, while stimulators placed in the subthalamic nucleus can reduce the need for dopaminergic medication, diminishing the side effect of dyskinesia. Overall, the procedure is quite safe, but as with all procedures, there can be complications. The complications associated with DBS include infection and bleeding. Infections may produce headaches, lethargy, confusion, and fevers. Bleeding may produce severe headaches, vision changes, or loss of consciousness. If you are scheduled to have DBS surgery, then your medical team will monitor you closely after the procedure. There are a variety of reasons for your post-operative monitoring, including assessment of the function of the stimulator, and to catch any complications before they cause lasting problems. There are a few other surgical procedures that may also be considered for the management of the LID. These procedures do not involve implantation of a stimulator; they involve creating a lesion one of the regions of the brain that is responsible for either Parkinson’s symptoms or the dyskinesias. Typically, lesional surgeries also target the globus pallidus or the subthalamic nucleus, and they may involve both sides if necessary. These procedures are, like DBS, considered safe and effective. If you are a candidate for DBS surgery, then it is very likely that your medical team will be discussing several surgical options with you, in addition to DBS. Parkinson’s disease is the most common movement disorder. It is a lifelong condition that is expected to worsen over the years. Because of the worsening symptoms, people with Parkinson’s disease often require medication adjustments as the disease progresses and as side effects develop. Ironically, the side effect of medications used for Parkinson’s disease is another movement disorder, dyskinesia. For some people with Parkinson’s disease, there comes a point at which medications may no longer be tolerable, and surgical approaches may be considered the best option. The good news, however, is that neither Parkinson’s disease nor dyskinesias are dangerous or life-threatening. DBS surgery is an option that has been around for many years, is well understood, and is considered to be safe and well tolerated. Over the past years, there have been thousands of people with Parkinson’s disease who have had surgery for LID, and the outcomes have been good. If you are a candidate for DBS, expect to have a carefully planned out surgery and close follow up after your procedure, as this will maximize your chances for the best outcome and recovery. How Can You Control Your Drooling When You Have Parkinson's Disease?